One of the things that I value about continuing dental education is the opportunity to spend time with other dentists, as I always learn something I can bring back to my office. 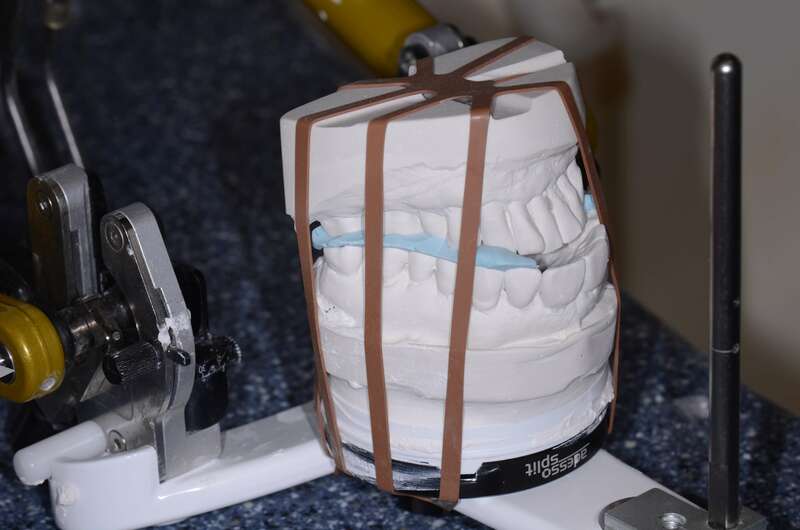 Recently while lecturing at Midwestern Dental School to the faculty, on of the faculty members told me about a new way to stabilize lower models when mounting, and was even kind enough to give me some samples. Over the years I have tried about every idea possible to optimize mounting the lower model. If the model moves int he bite registration due to pressure during mounting, tipping or shrinkage of the stone it interferes with the accuracy of the mounting. 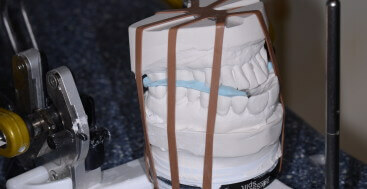 To overcome this I have tried hot glue, compound, rubber bands, hanger wire bent into a V and probably many more. The Fleximount was incredible the first time we used it. Sold by WhipMix and developed for their articulator systems, I will say I have used it on other systems, and as long as there is a knob ont he upper member of the articulator it works fantastic. The Fleximount is trapped inside the stone, so they are disposable. The lower model is held with even pressure directly against the upper( if mounting in MIP) or the bite record, therefore no tipping forces are present as with other stabilizer systems. Because it stays in the stone, you can walk away and let it come to a complete set, instead of having to stand and remove the stabilizer while the mounting stone is still somewhat soft. Both of these features result in a very accurate mounting. In our office we now have a predictable solution for accurately mounting lower models!